Update: If you want to watch some of the greatest GoldenEye N64 kills, new multiplayer levels, tournament footage and online gameplay, then check out our newly relaunched YouTube Channel Here. Yes, the year is 2012. Yes there are powerful new consoles and PC's. Are games from 1997 still being played? Better yet, are games from 1997 worth playing? Thanks to GoldenEye, the answer is YES! In fact, seeing GoldenEye on your PC and monitor will shock you. It does look that good. So be assured you're not crazy thinking about playing GoldenEye N64 after all these years. The game has evolved to new heights thanks to many many new levels being released on a monthly basis. This game was one of the best. Is it still the best? Well it's interesting how much hype was all over the internet about having GoldenEye on Xbox Live Arcade. Remeber that video that was released and the debate about it? The many online petitions asking Nintendo to back the release of the GoldenEye XBLA version? The reason for all the anger was that a lot of people loved this game. Most don't realize the possibilities of playing GoldenEye via N64 Emulator or actually playing multiplayer online flawlessly! Well that's why we are here! The funny thing is, once you have a chance to play GoldenEye N64 on your PC, you will quickly realize that even today it's one of the best. On your PC, GoldenEye N64 plays like it is on steroids. Check out some of these links and see what I mean. Videos of people playing GoldenEye online. #1 - #2 - #3 - #4 - #5 - #6 - #7 Are you now a believer? Well if not, here is a video of the Grid multiplayer level from Perfect Dark being played in GoldenEye and online! Click to watch it now! Amazing screenshots of GoldenEye played on your PC that will make you a believer HERE. It's where all the experts hang out. This is quite a nice treat to mention here. After you go through the tutorial, you will want to check out the updated Jabo's graphics plugin. It's going to fix the skies in GoldenEye and if you choose to play Perfect Dark via emulator, it also fixes the lens effect which has been missing on things like the slayer. Again if you're new to emulation it's best to read this after you get through the tutorial. You will need to have PJ64 installed, then run the patch which will update the plugins. Here is the link here. Update - Here is where you should go to play GoldenEye N64 online: 69.90.34.38 <-- enter that ip address into Kaillera. It's East Coast North America server. Lots of Nintendo 64 players and games there. So when you get to the end of the tutorial and are ready to play GoldenEye online, just copy and paste this ip address. Good luck! Update - Fantastic news. Kaillera is back online! That means you can now update your master server list from with Mupen. Find out what servers you can play GoldenEye online! Thanks to ZeldaRocks for informing me that Kaillera is back online. New PD solo level now a multiplayer level in GoldenEye. Kode-Z has released Attack Ship playable as a GoldenEye multiplayer level if you can believe it. I've updated the Mupen ini HERE so your rom list will be correct. Attack Ship details HERE. I always hear the same complaint from new players to GoldenEye online. They can't find any GoldenEye games on the servers. I say the same thing to everyone. Start a game room and wait. Think about it. There are lots of you saying the same thing. So probably there are a bunch of GoldenEye players sitting on that server asking the same question. Where are the GoldenEye games? It's like a big dance. Nobody on the dance floor but everyone is standing around looking at each other. Just start a GoldenEye room and wait. It's like fishing! Be patient. Even games on Xbox Live sometimes take time before you find another player on the planet who is online at the same time as you. Sure, maybe it will take 10 minutes but who cares? Just leave your room open and check back after a while. Make sense? Also, I've revising this tutorial again and simplifying it even more. Less words, less steps and nicer layout. Coming soon! Update - A masterpiece has been released for GoldenEye! Monkeyface has released a new map pack that has.....11 levels! They are Counter Strike levels converted into GoldenEye levels! Watch the incredible video here. Download the IPS Patch for the CS Map Pack here. Get the updated Mupen ini file here. If you have problems in any of these steps, then visit the ShootersForever.com Forums! It's where all the experts hang out. note: this newer mupen n64 emulator version is better. simply because less chances of desynch. use this version if you see everyone else online using it. this should be your first choice. note: this is the older n64 emulator version. use this version only when you have no other choice. mupen beta should be your first choice. Think of the n64 emulator as being the Nintendo 64 console. This is the first emulator in history to run GoldenEye online! Unzip the files on your computer, but first name a folder and make sure you can find it later! A graphics plugin is a .dll file. There are many different graphic plugins for Nintendo 64 emulators. The better the graphics plugin, the faster the N64 emulator games will play and the better the N64 games will look. Some graphics plugins look good with a few games, but create graphical glitches in other games. These two plugins are going to make GoldenEye and Perfect Dark look and play almost flawlessly. They are the best. Put the two ".dll" files into this folder as shown below. 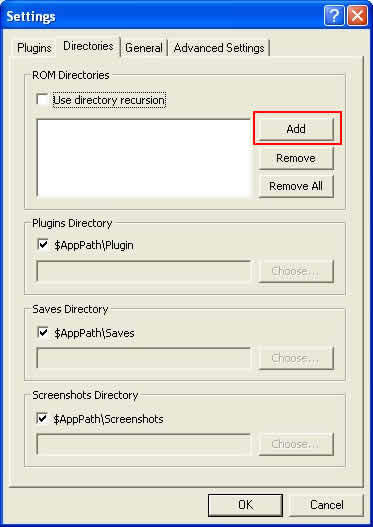 The main directory of Mupen has a "plugin" folder as shown here. A N64 emulator can be controlled by keyboard/mouse or any other PC enabled game controller. GoldenEye without the official Nintendo 64 controller? Buy the USB adapter HERE which allows you to hook up your original controllers to the PC. If you have the USB adapters, set them up properly using my guide here. Amazon sells the original Nintendo 64 controllers here. To learn how to set up the keyboard and mouse, check this link here and here and here. From this point it's just a standard button assigning task. Click on the buttons ("up" "start" etc) and then you press the button on your controller that you want to assign. Remember to click "Save Profile" which will save your configuration. IMPORTANT: If you only have one controller and want to enter N64 GoldenEye multiplayer, you must click "Controller 2" tab and tick the "Plugged" box. This will allow one controller to control both players in the GoldenEye game. If you don't do this the GoldenEye game won't even make multiplayer selectable in the menus. IMPORTANT: Before you go online, you MUST complete this next step. Ensure that "RawData" box is unchecked otherwise desynch will occur! Note the tabs from the screenshot. "Controls", "Devices", "Modifiers", "Controller Pak". You will need to click on the "Controller Pak" tab. After clicking the "Controller Pak" tab you will see the "RawData" box. Make sure it is unticked!! Important: Check the "RawData" box for Controller 2, 3 and 4 also just to ensure none of them are ticked. Note: You will NOT have to do this each time you play! Do it once, and forget about it. After you click add, you will need to direct Mupen to the folder on your PC where you have placed your GoldenEye rom. After you add your GoldenEye rom to the Mupen N64 emulator, you will need to "Refresh ROM List" as shown here. File > Refresh ROM List. Your GoldenEye rom will appear in the list! This is the most critical aspect of online GoldenEye. Your GoldenEye rom version MUST match your opponents. First click on the GoldenEye rom from your list as show above. Then follow these steps. Look at this screenshot. In order to find your MD5 Checksum, you will have to first click on the button that reads "Calculate". The number which is shown in the screenshot above is your GoldenEye rom md5 or identifier. Use this to communicate with other GoldenEye players if you have having desynch issues. Please note that all the fancy options like "Antisotropic filtering" and "Super2xSal textures" are set to Off. Very important! Do it before you go online or you will experience desynch. Also note "Windowed Resolution" which will make the game window small, but will make it play faster. Start small like I have here, or even smaller depending on how your PC works with the Mupen N64 emulator. Don't go for big windowed resolution because chances are the online game will be slow and frustrating for everyone involved. This is it. 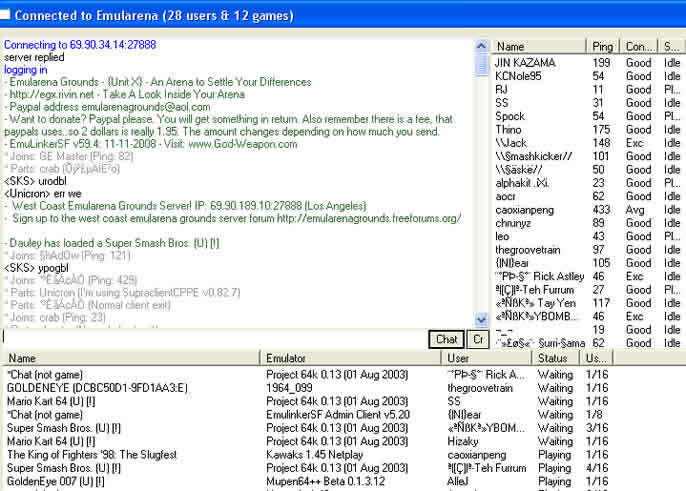 Use this screenshot to verify that you are using these plugins BEFORE looking for games online. Just trust me on this one okay? Yes, I have N-Rage's Direct-Input8 1.60 plugin listed here, but I recommend that you use the NRage Direct-Input8 V2 2.00b version instead. 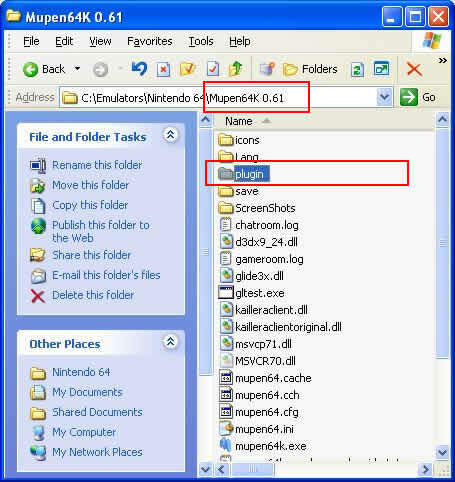 Kaillera is the netplay client for your Mupen N64 Emulator. Step 1: Add your own nickname in the "Nick:" field. Step 2: Check "Connection setting:" and set to "Good"
Step 3: Ensure "Change Mode:" is set to "2. Client"
Step 4: Add Kaillera servers to your Mupen N64 emulator. Click "Add" or click "Master Servers List"
This above screenshot is displayed if you click "Add". You can manually enter a server. This is not the best method, but you may try it. If you clicked "Master Servers List" then you will see the window as shown below. It will take 2 minutes for the servers list to populate. You can sort the servers and I recommend that you click on the "users" tab and sort them that way. I have done this in the screenshot below. Simply click on a server that is populated with users and has the lowest possible ping (100ms or less is best) and then click on the "Add to local list" button. It will automatically be added into your Mupen N64 emulator. You can add as many servers as you like in this step. Just close this window when you are done adding your servers. After you have added your servers, you will have a list similar to what is shown here in the above screenshot. To join a server, simply double click it. Above is the main server interface. Some text is simply unable to show properly because of glitches. In the top right section, you can see players names, their ping, their connection type and their status. From the main window you can chat or join a game in the listings by double clicking it. You just have to look for games that are using the same N64 emulator and same GoldenEye rom that you are using. In this screenshot above, you can see on game of GoldenEye using the Mupen64++ N64 emulator. You also need to look at the "Status" of the game you want to join if they are "Waiting" or "Playing". If you are using the same N64 emulator, simply double click the game. Your other alternative is to create your own game. You can do this by clicking on the "Cr" button. Yes, the button text is glitchy and doesn't show "Create" like it should. When you click it, you can scroll to your rom as shown in the screenshot below. Once you have created your game room, players will join and you can chat before starting the game. I have shown you how to play GoldenEye online using the Kaillera client. It works well, but it is not the best and not the most lag free way to play. The other option is to use the Peer to Peer or P2P client mode. This is only playable in 2 player mode, but it is close to lag free and is especially fantastic when you have large distances between yourself and your opponent. For example, a west coast player can play a UK player using the P2P client mode and have minimal lag or delay. It's a bit more complicated if you want to host a game. There are resources and tutorials for this: p2p kaillera guide. Joining a P2P game is easy, but hosting requires you to set up your PC as a server. That means opening up ports through firewalls and or your router. Many players complain that it is hard to find people using the Mupen N64 emulator or difficult to find GoldenEye games online. Check out the reddit GoldenEye online community here. Good luck with GoldenEye online! See you there. Question 1: What is desynch (also known as ds)? N64 emulator desynch, also referred to as simply "ds", is when the online game becomes unplayable. Without getting technical, you will know you've experienced DS when your opponent is acting oddly in the GoldenEye game like running into walls continously or slapping contantly with no opponents nearby. Basically if your opponent is acting drunk, you've desynched. DS is 99% the result of the user, not the Mupen64K N64 emulator. You need to think of things that you may have set up incorrectly to correct the problem. It's okay, it happens to everyone! Question 2: Why does my GoldenEye N64 game keep desynching? Examine your N64 emulator video settings. Ensure that you don't have any extra setting ticked such as the improved graphical options. Verify with the members of your GoldenEye party if they are using the GoldenEye Master Save file (it now comes included with Mupen64K 0.79 bundle). If you aren't sure, simply repaste the Master Save file from here into your Mupen64K "save" folder. IMPORTANT: If you have been playing single player or messing around with your GoldenEye game, then it likely caused your save file to change. This causes ds (desynch) In this case, you should repaste the Master Save file from here into your Mupen64K "save" folder. Verify that you have the same rom MD5 identifier as the rest of your group. 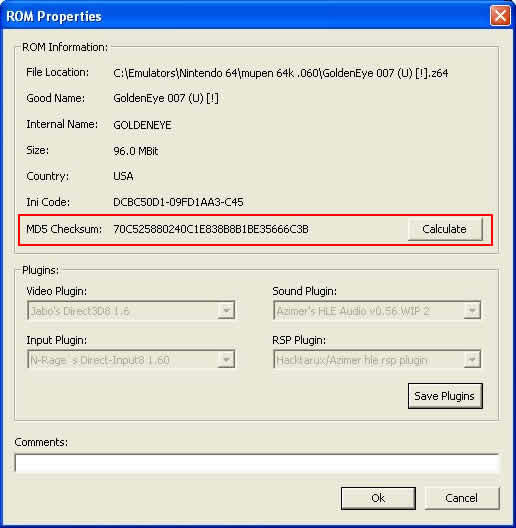 Check and make sure that your N64 emulator input plugin does not have the "Raw Data" box ticked.Click here and follow these steps! Ensure that you are not using a wireless internet connection. Again, verify that you are using the same plugins as the other people in your party! The bottom line is, that ds (desynch) with GoldenEye and Mupen64K is a result of the user, not the emulator itself. It won't be ds (desynching) unless you have incorrect settings. Question 3: Can I play GoldenEye online with Anisotropic Filtering on? This is an option in Jabo's Video Plugin and will likely cause a desynch with GoldenEye 007 online gameplay. Sure it makes the game look very pretty, but it will cause problems. So, keep the setting to OFF. Question 4: Can I play GoldenEye N64 using full screen or large windowed resolution? Yes you can play at full screen during netplay, although I would strongly recommend a size of 800x600 out of respect for the other GoldenEye 007 players. If your system can't play fast at the full screen resolution, the online performance for everyone will suffer. Large windowed resolution of 1024 or 800 max is what I recommend for the reasons stated earlier. Be considerate of the other 007 GoldenEye players! Question 5: Can I still use Mirc or instant messaging while playing GoldenEye online? Question 6: How do I send a text message to my opponents when I'm playing? Ctrl-M and then type your message, which will appear in the lower left corner of the window. Remember this N64 emulator shortcut because you will use it always! Question 7: What is a Nintendo 64 emulator? It is a program that makes your PC the Nintendo 64 console. PJ64 or PJ64K are currently the most popular, however the performance of Mupen64K online netplay is superior. Question 8: Is a N64 emulator better than the actual Nintendo 64 console? Yes it is. In fact, you will be blown away at the details in GoldenEye N64 that you missed because you were playing on a TV and not on a computer monitor. Beyond that, if you lined out your PC video to a television while playing GoldenEye on an N64 emulator, you will be amazed at the better clarity, especially across large areas like in the Temple. Framerate is another thing. Processing power of a PC can do things that your Nintendo 64 console can't. Speed in multiplayer is the biggie! Question 9: How good of a computer do I need? Almost an impossible question to answer. It's 2009 and likely there is nothing you buy today that can't handle the N64 emulator. If your PC is 5 years old, then perhaps you will have slowdown issue. Test and see! You need to test and fiddle around to see if your computer can play GoldenEye N64. My system plays it as fast as imaginable and my computer isn't new. I have a 3200+ AMD Athlon XP, 1.5 gigs ram, and an ATI All in Wonder 800XL. Just try to run it on your computer and see what happens is my best advice. Question 10: What type of controls can I use playing GoldenEye on a N64 emulator? How about the authentic Nintendo 64 controller? Yes, it is true. Buy a USB adapter here. Aside from that you can use a mouse/keyboard setup just like a regular FPS, however this is not the proper way of playing GoldenEye. Right? GoldenEye deserves to be played like it was intended. Having said this, you can configure practically any controller you own to play GoldenEye on the PC. Question 11: What are N64 ROMS and aren't they illegal? A N64 emulator needs a GoldenEye N64 ROM to play. It's like an Mp3 player needing Mp3 files to play. Read this here about legalities. A ROM (a backup of your actual GoldenEye cartridge) can be made using a Gameshark Pro with a working parallel port hooked up to your PC. Is that illegal? Not sure. You can make Mp3s from your cd's right so is that different? I'm not sure. To me, it's my game and I can play it on console or on the PC now. It isn't somebody else's game that I'm using. Question 12: What are N64 emulator plugins? 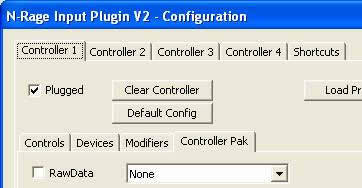 Adding to the plugin complication is the fact that there are many different releases or versions of the same plugin. So, take Jabo's video plugin. 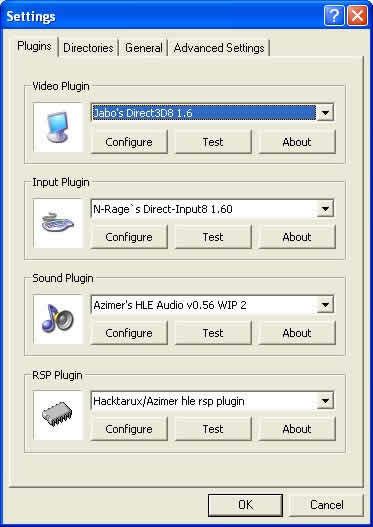 Just because it's Jabo's video plugin, you need to know which of the 4 or 5 different versions it is. Confused yet? Bringing this explanation into the GoldenEye online subject, you need to be running the same plugins as all of your opponents or likely problems will arise! IMPORTANT: You need to know what plugins and what versions you are using and ensure your opponents online are using the same!